Born in Eretz Yisrael to Avraham & Hannah Serouya. After his father was Niftar, he moved to Aleppo, Syria. America as Charles' next stop at the young age of fourteen. Charles was a man of Emunah, strength & conviction. 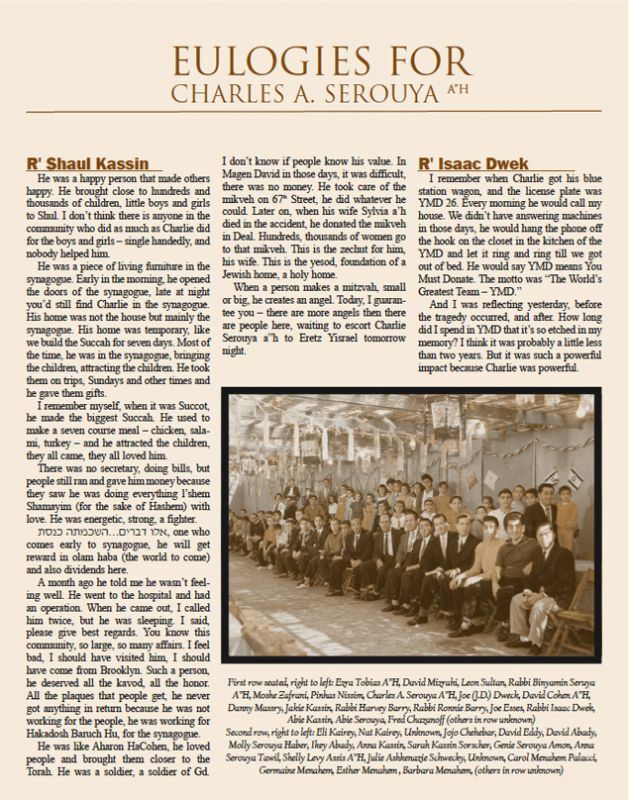 Despite many hardships, Charles became a pillar in the syrian community, New York. 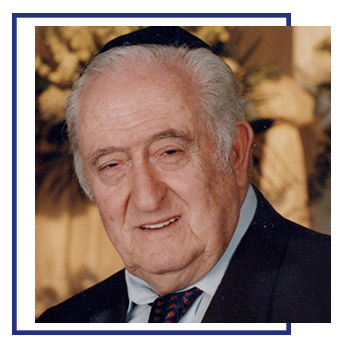 In his early years he established the first youth Minyan where he nurtured many future community Rabbis & lay leaders. 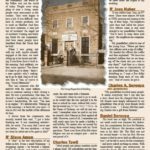 His legendary community work continued throughout his lifetime, whether in congregation "share Zion" in New york, or Deal shul in New Jersey. Chales A. Serouya assed away on the 25th of Iyyar. התשס‫"‬ה Hemoticated & encouraged people to love Hashem, Torah & Mitzvot. 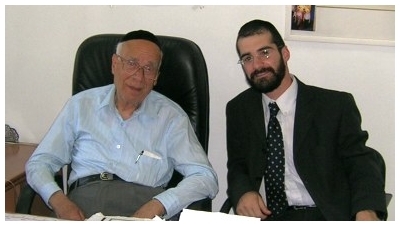 Rav Eliyahu Levy with his grandpa Chairman of the halabi community Adas-shul Mr.Yehezkel Nawama . Beloved community leader and master fund raiser of Brooklyn, New York and Deal, New Jersey. 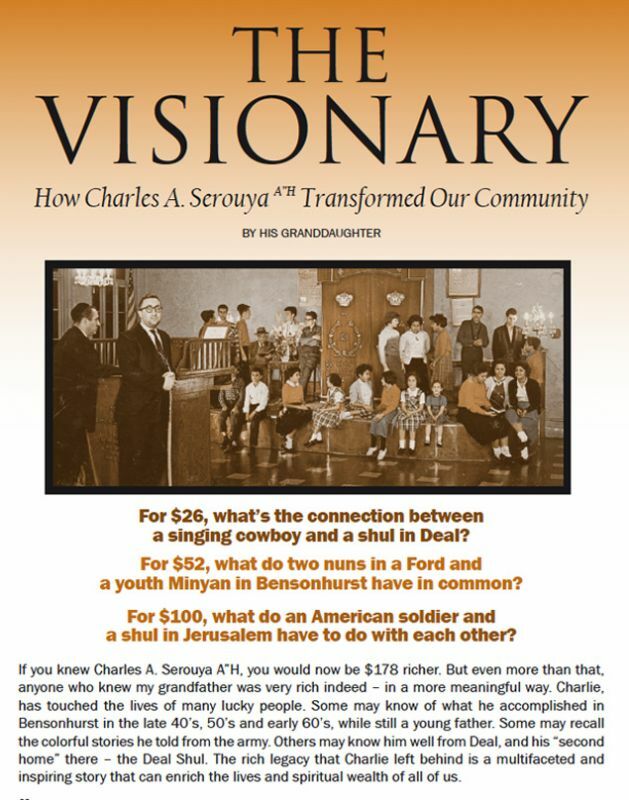 Also known as Charlie Serouya, he was a highly motivated and charismatic man who successfully fought the culture of assimilation which threatened a generation of Sephardic youth. 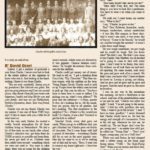 Although he never held an official position he had a direct impact on hundreds of young men and boys, reconnecting them to their religious heritage. When “Charlie” lived in Bensonhurst in the 1950s, the community was small, and in danger of losing its youth to the allure of the street culture. Recognizing the terrible danger this posed, he set out to do something about it. 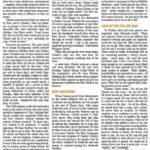 Among his first novel ideas, he pioneered the concept of a youth minyan, named Young Magen David (YMD). Through his dynamic personality he made YMD a place where children wanted to be. 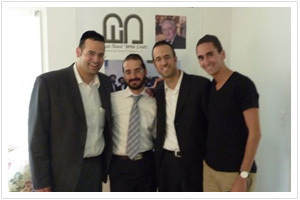 Under Charlie’s guidance, YMD became more than a minyan, it was a virtual youth program. This would serve as the model “youth program” for all future programs to follow. He even took the kids on outings by subway, including trips to the hospitals to visit the sick. 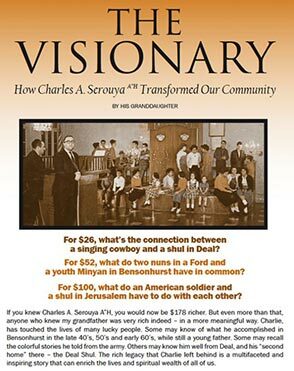 Determined to make the minyan work, Charlie used every connection and innovative stratagem to raise the needed funds. Once, while working as a chandelier salesman for Mr. David Bibi and Mr. Nouri Dayan (see #195b) at Bibi and company, two nuns came to the store to buy some lighting. As he helped them to the car he couldn’t help but notice their beautiful new station wagon. They explained that it was a gift from the Ford Motor Company, to their religious institution. Never one to miss out on a donation to YMD, he called Ford and explained to them that he ran a youth program that effectively attracted kids and kept them off the street. Before long, YMD became the proud owner of two new blue Ford station wagons, which Charlie used to pick up boys at home and bring them to early services at YMD. When boys in YMD approached their 13th birthday, Charlie would be the one to teach and prepare them for the big day. He would make all the party arrangements himself. The lucky boys would receive a siddur inscribed personally in his unique handwriting, a brand-new talit and koratcha (talit bag), and many boxes of chocolate. Everyone eagerly awaited their turn to bask in Charlie’s attention. 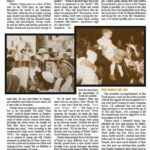 Today, over half a century later, some of the boys who moved out of Bensonhurst before they turned 13, say how disappointed they were to have missed the privilege of having a YMD Bar Mitzvah. Among those who did receive a special YMD Bar Mitzvah – was a boy who had arrived from Syria just several months before. For that particular young man, the Bar Mitzvah was only the beginning of a long and enriching relationship with Charlie. Today that boy is known as R’ Isaac Dwek, Rabbi of the Synagogue of Deal. On Succot, Charlie had a huge succah built for the shul. In this way he gave the children a chance to experience the true spirit of the holiday at a time when, sadly, just a handful of families had a succah in their own yards. For most of the boys, those fond childhood memories at YMD became the foundation for a lifetime of Jewish observance. In fact, many of those YMD children grew up to be rabbis and lay leaders in the community. 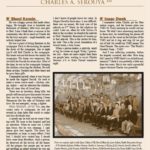 Among Charlie’s other personal initiatives in Bensonhurst was the funding for the local Mikveh (ritual bath house), an essential component in preserving the sanctity of Jewish family life in the neighborhood. Despite the economic hardships of the community, Charlie made sure that the services of the Mikveh were never compromised. Life in the Army. 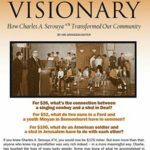 As a young man Charlie served in the United States Army. Despite many difficulties he diligently avoided eating non-kosher food, and so his diet generally consisted of eggs, fruit, and vegetables. One year he built a succah on the runway of the army base. 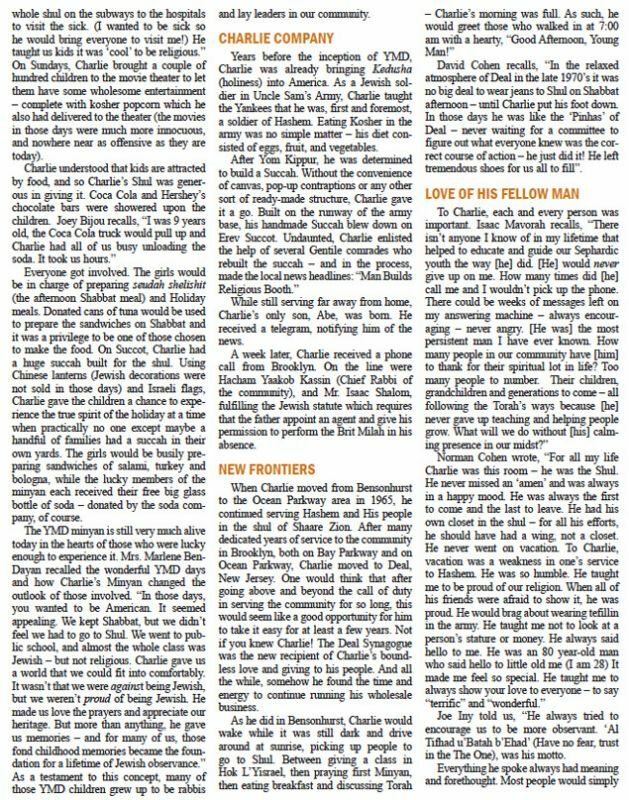 When the wind blew it down he enlisted the help of several non-Jewish comrades who helped him rebuild the succah – and in the process, made the local news headlines: “Man Builds Religious Booth.” While still serving far away from home, Charlie’s only son, Abraham (“Abe”), was born. He received a telegram, notifying him of the news. A week later, Charlie received a phone call from Brooklyn. On the line were Hacham Yaakob Kassin (see #330) and Mr. Isaac Shalom (see #497), fulfilling the halachic rule which requires that the father appoint an agent and give his permission to perform the brit milah (circumcision) in his absence. When Charlie moved from Bensonhurst to the Ocean Parkway area of Brooklyn in 1965, he continued his community service in the shul of Shaare Zion. Finally, after many dedicated years of service to the community in Brooklyn, Charlie moved to Deal, New Jersey. 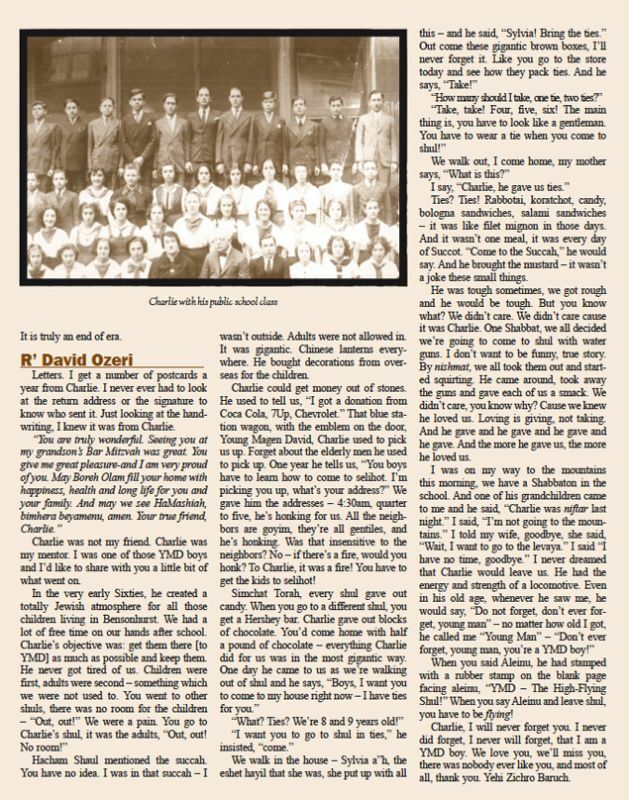 The Deal Synagogue and the surrounding community then became the new recipient of Charlie’s devotion. And all the while, he found the time and energy to continue running his wholesale business. As he did in Bensonhurst, Charlie would wake much before dawn and drive around while it was still dark, picking up people to go to the early minyan. For an hour before the service he would give a class in Hok L’Yisrael. When he noticed individuals neglecting attendance, he would never give up cajoling them to join him at the sunrise services. He saw his mission as helping people grow and come closer to Hashem. However, Charlie insisted upon proper decorum in shul and firmly discouraged people from appearing in jeans at the Shabbat services. Selfless Devotion Charlie didn’t take vacations. He didn’t go “out to eat”. He didn’t believe in indulging himself. He was driven to serve others. This would never have been possible without his Eshet Chayil Sylvia A”H. She shared this devotion of putting the needs of others first. She understood that loving is giving and not taking and together they gave and gave of themselves wholeheartedly. Although Sylvia was a shy and reserved woman she knew when it was time to speak and take action. In the beginning years of the Deal synagogue, Rabbi Isaac Dwek gave a class for women to promote the laws of family purity. Sylvia A”H stood up and told the young women, “I’m married for 35 years and I can honestly say that Mikveh makes you special to your husband… it makes you feel like a bride every time”. She shared his commitment to helping people appreciate the beauty of Torah and mitzvoth. She more than made it possible for him to do all the amazing things that he did – she encouraged him. Perhaps because he was orphaned at the age of 3, Charlie had a special appreciation for the value of a warm and loving family. Charlie and his wife Sylvia A”H were blessed with one son and four daughters. Charlie’s worthy son Abraham (Abe) grew up to join him in their furniture importing business, Charles Serouya & Son. 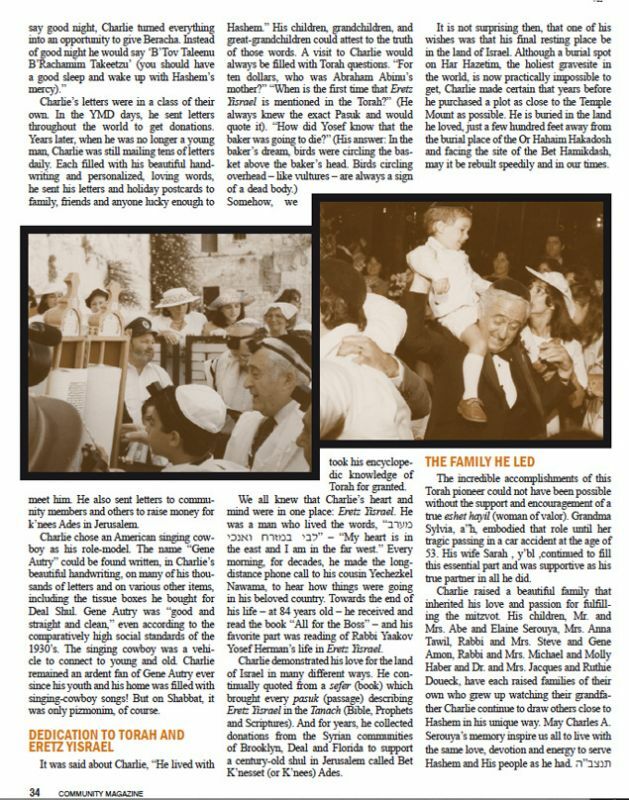 Guided by Charlie’s loving example, Abe and his four sisters Anna, Gene, Molly, and Ruthie, raised Torah true families of their own. 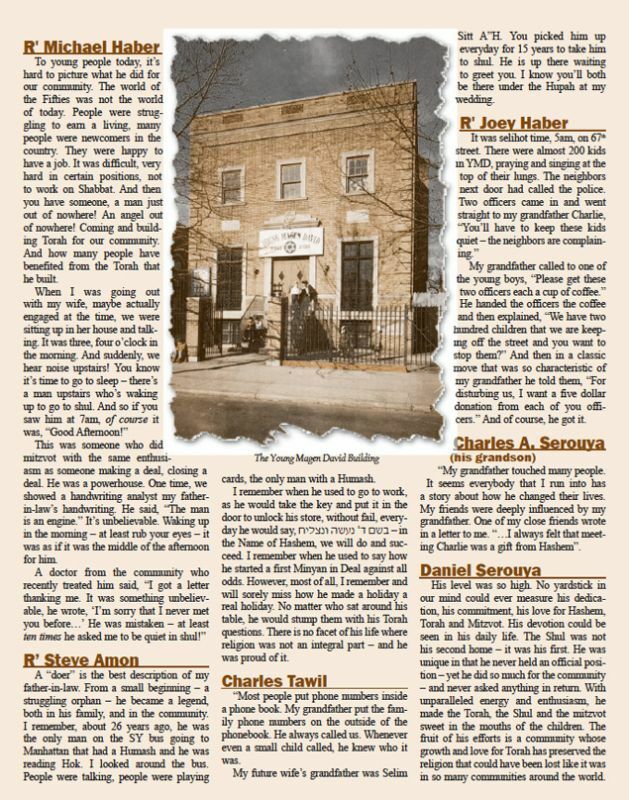 One of Charlie’s sons-in-law, R’ Shemuel (Steve) Amon became the rabbi of the Sephardic Congregation Shaare Tefillah in Eatontown, New Jersey. His other two surviving sons-in-law are R’ Michael Haber, who became the rabbi of Congregation Tiferet Torah in Brooklyn NY, and Dr. Jacques Doueck, a prominent dentist. 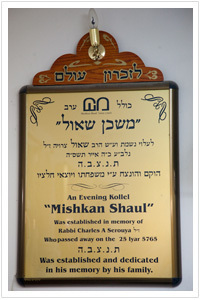 When Sylvia died in a tragic automobile accident at the age of 53, he honored her memory by building a Mikveh in Deal. That Mikveh continues to serve the women of Deal, providing the community with the essential foundation of a Jewish home. He then took a worthy second wife, Sarah, to be his partner and indispensable support in continuing his holy work. Charlie always believed in seizing the moment. Even the simple act of leaving a message on an answering machine was an opportunity; he would lower his voice and use the moment to express his love for his family. A Final Resting Place. 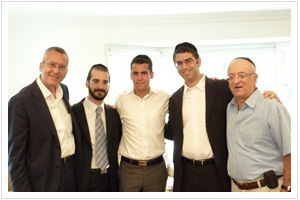 Charlie had a great love for Eretz Yisrael and every morning, for decades, he made a long-distance phone call to his cousin Yechezkel Nawama, to hear how things were going in his beloved country. 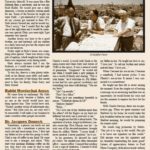 For years, he collected donations from the Syrian communities of Brooklyn, Deal and Florida to support a century-old shul in Jerusalem called Bet K’nesset Ades. 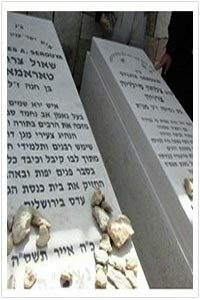 It is not surprising then, that one of his wishes was that his final resting place be in the land of Israel. 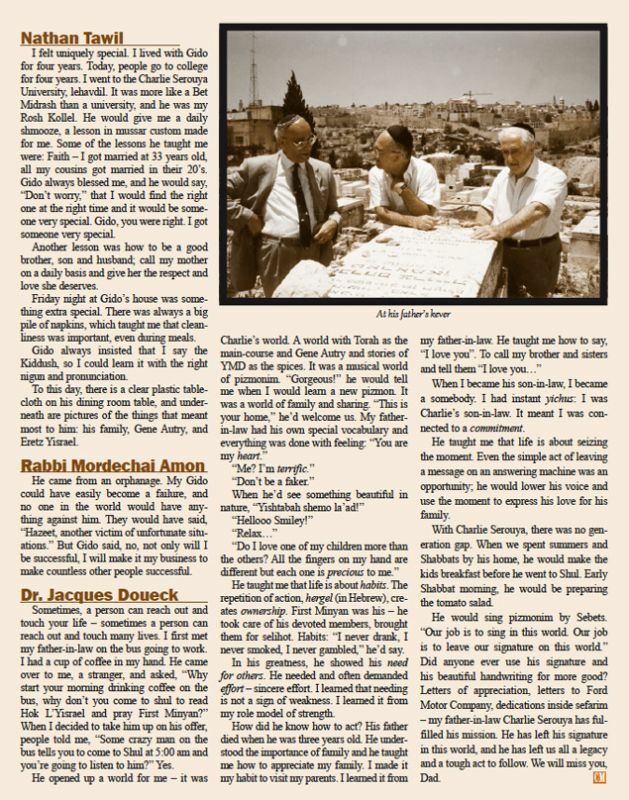 Charlie made certain to purchase a plot on Har Hazetim and after a full life of 84 years he was laid to rest in the land he loved, just a few hundred feet away from the burial place of the Or Hahaim Hakadosh.